Maureen Murdock, PhD is a psychotherapist, writing teacher and the author of seven books, including The Heroine’s Journey:Woman’s Quest for Wholeness, a ground-breaking book which revealed a broader understanding of the female psyche on both a personal and cultural level. Murdock is also the author of Unreliable Truth, The Heroine’s Journey Workbook; Fathers’ Daughters; Spinning Inward: Using Guided Imagery with Children and is the editor of an anthology of memoirs written by her writing students entitled Monday Morning Memoirs: Women in the Second Half of Life. Murdock’s research on myth and memoir culminated in her book, Unreliable Truth: On Memoir and Memory. 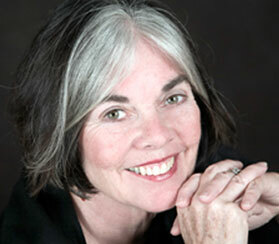 She teaches memoir writing in the UCLA Extension Writers’ Program as well as privately in Santa Barbara, California. Murdock was Chair and core faculty member of the MA Counseling Psychology Program at Pacifica Graduate Institute in Santa Barbara and is adjunct faculty in depth psychology at Sonoma State University. She has been a guest lecturer at The C.G. Jung Institute, UCLA, UC Santa Cruz, UC San Diego, University of British Columbia, The Naropa Institute, The Omega Institute, The Oasis Center, University of Creation Spirituality, University of Massachusetts, and others. She has been an educational consultant for a number of school districts and she co-created a program in human development for students in the Los Angeles City Schools to deal with conflict resolution and diversity issues after the uprisings in the early 1990s. Maureen Murdock is also a prolific art photographer and her work is widely exhibited. The following interviews with Maureen give an in-depth view of her work. The guest presenter at our April 2005 LifeLines Retreat, Maureen Murdock is a psychotherapist, creative writing teacher, and a many-times published author….In our interview, Maureen Murdock talked to me about her recent book and about the role of myth in our life story.